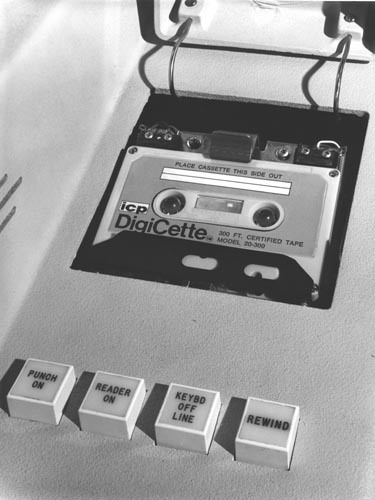 B&W image of a Saunders DigiCette tape deck. It is encased in some device with four buttons below the reader. "Punch ON, Reader On Keybrd Off Line, Rewind"